LONG POND, Pa. — They sat next to each other taking question after question after IndyCar practice, shrugging off the thought that tension might have crept into their everyday lives. 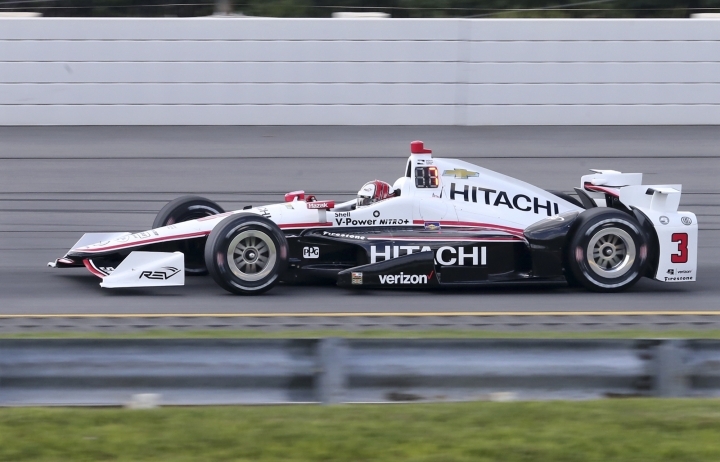 For Simon Pagenaud and Will Power of Team Penske — 1-2 in the driver standings with four races left in the season — Saturday was just another day at the office at Pocono Raceway. "I've been in that situation before. Nothing's changed. We don't talk," Power said, joking. "It's good. It's expected, honestly. Every year you come into the season expecting to battle with your teammate. I battled Juan (Pablo Montoya) last year. I think the older you get the less you kind of worry about personalities and all that. It doesn't matter. When you get on the track, the best car is going to win. It's as simple as that." 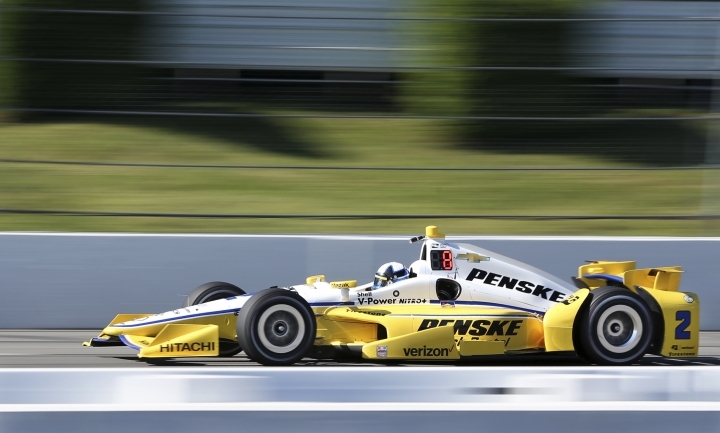 Pagenaud began the season with five straight top-two finishes that included three wins and outraced Power at the end of the last race, at Mid-Ohio three weeks ago, for his series-leading fourth victory. Power has made a steady march back after qualifying first for the season-opener at St. Petersburg and then being forced to sit the race because of concussion concerns. 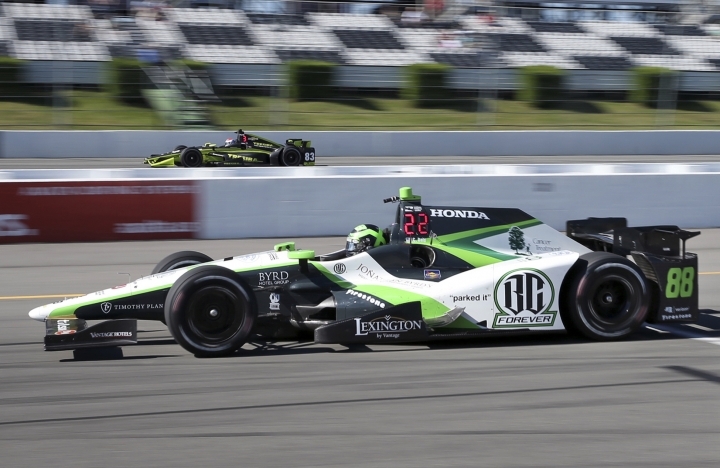 In the past five races, he's duplicated Pagenaud's start, winning three times and finishing in the runner-up spot twice, to trim Pagenaud's lead to 58 points as the teams prepare for Sunday's 500-mile race at the tricky triangle-shaped track. "We're going to have to be teammates for a long time, hopefully," Pagenaud said. "We come to the track every week. If we don't get along, it's going to be a nightmare. We both want to be fighting for the championship. We all want to fight against each other for the championship. That means our cars are the best. I think it's the perfect situation. There's really no point hating each other." Pagenaud barely avoided wrecks in Saturday's morning practice that collected Ryan Hunter-Reay and Penske teammate Montoya. The Frenchman later qualified 14th, his worst qualifying performance of what has been a banner season. Power will start eighth, while teammate Helio Castroneves, third in the standings and within striking distance of the top spot if his teammates have problems, will start fourth. 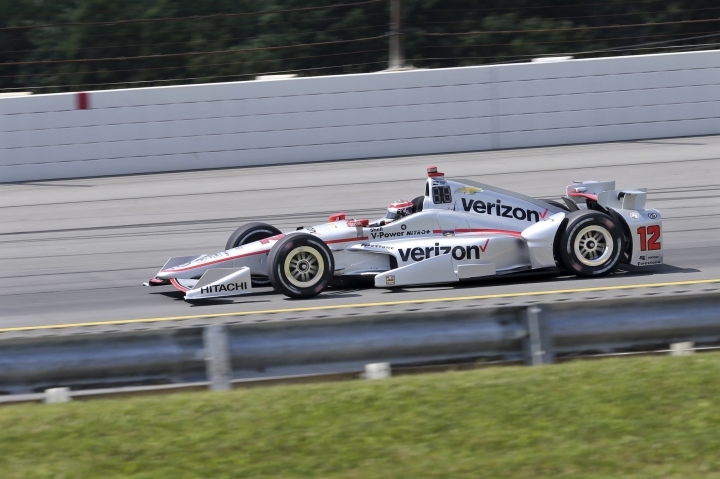 "That could be very good for us tomorrow," Castroneves said. "The championship is still alive." The series resumes next week in Texas, which will be completed after being called because of rain in mid-June. That's bad news for Joef Newgarden, fourth in points. He was leading the race when he crashed and won't be allowed to finish it. "I'm going to be there to support the team. I've already finished where I finished there," said Newgarden, who trails Pagenaud by 120 points. "I would have been crashed out of the race. If the rain didn't come, we finish the race, this would have been a done thing. It's only odd because it's never happened before. This is unprecedented. "If all goes according to plan, even with Texas, yeah, I think there's a possibility (to win the title)," Newgarden said. "You never know." For Power, as the season dwindles his mind still wanders back to St. Petersburg. "You can't dwell on it," he said. "It happened, and it was probably going to be a pretty good race for me. I was starting on pole. It was a huge chunk of points lost. "If I win the championship it would not even be a factor. Ten points, though, would haunt me." 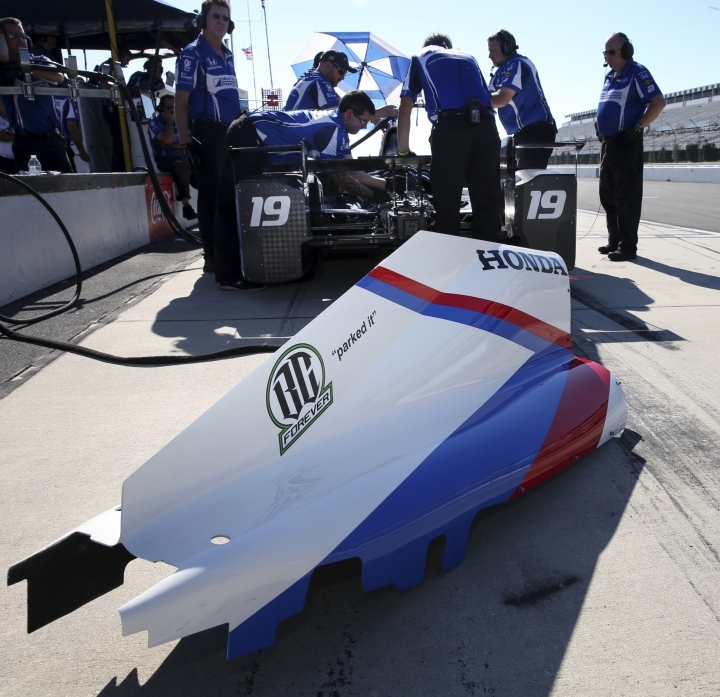 Haunting, too, is the memory of Justin Wilson, who died a year ago after being hit in the helmet by debris from a late-race crash at Pocono. Pocono Raceway has painted the letters JW on the track at the finish line, Union Jacks are flying at half-staff in honor of the Englishman, and countless fans and crew members wore special socks created in his honor. "It's hard to keep your mind off things when everybody's talking about it so much," Graham Rahal said. "You just really want to come here and just focus on the job at hand, not what happened last year. "Clearly, for a lot of us that were close to him, it's tough because every time you drive down pit lane, you're reminded. Every time you look at somebody's socks you're reminded, which is a great thing in its own right. But as a driver, you need to be able to get in and do your job."